As frequently as we hear about topics of healthcare, insurance premiums, coverage policies, and financial assistance programs, it is easy to become confused between two words that sound so similar: Medicare and Medicaid. Let’s break down the differences between Medicare and Medicaid to decipher the benefits of each and how they can impact you. You are entitled to qualify for Medicare coverage and become automatically eligible when you turn 65 if you paid Medicare taxes on your earnings during your working years. There are more than 56 million Americans that are currently enrolled. Medicare is broken up into four parts of coverage. Some parts are mandatory while some are optional with varying monthly premiums. When you enroll in Medicare, Part A is normally something you receive automatically at no cost. It is always important to ask and confirm your coverage, especially for longer-term hospital or skilled nursing facility stays (if your stay is more than 60 days, you will have to pay out of pocket for a portion of the day’s expense and eventually coverage can run out and you will be paying out of pocket for all stay expenses). You would be required to enroll in Part B of Medicare if you do not have existing coverage from another source such as if you or your spouse is still working and have primary insurance coverage through your employer. There is a monthly premium for Part B coverage and it is best to check directly on the Medicaresite for costs, and once the deductible is met, you will pay 20% of the Medicare affirmed service with no catastrophic cap. This option of coverage normally includes all of Parts A, B, D, and some other benefits. It is normally provided by private insurance companies that collect your Medicare payments from the government. There are also other forms of Medigap policies that will help to cover what traditional Medicare lacks. Premiums are normally higher and this “helping” coverage cannot act as a stand-alone policy, but when necessary, it is a better solution than paying for high out of pocket expenses. This coverage is required if you do not have a credible source and it is also provided by private insurance companies. Sometimes, your plan may require you to meet a yearly deductible before your eligibility will kick in for covering drug costs. What’s the Enrollment period for Medicare? There is a 7-month initial enrollment period (during an allotted when you turn 65) to sign up for Part A and/or Part B of Medicare. There is also a general enrollment period from January 1- March 31 of each year. There are also special enrollment periods such as if you and your spouse is working or a special allotted time after this employment or other health insurance coverage ends. It is important to realize that traditional Medicare does not cover long-term care. Recognize this coverage as a health insurance policy that will cover short-term care such as a short duration of time receiving rehab and therapy in a hospital or nursing home. Other common or routine items not covered are dental care, eye care, or hearing aids. Will Medicare help to cover senior housing expenses? To expand on the previous question, Medicare will not help to cover long-term care or senior housing expenses such as an assisted living facility, long-term care at a nursing home, or any coverage towards senior housing expenses. Long-term care insurance or another form of support should be something to consider as well over half of the people over the age of 65 will need long-term care at some point in their senior years. Custodial care: This is part of long-term care services such as needing personal care in a skilled nursing facility or in your own home care service. Nursing Home Care: Medicaid acts as a primary provider for long-term nursing home care, but it is important to do research on what exactly your coverage policy includes because there could be out of pocket expenses still necessary with this benefit. Focusing specifically on those aged 65 and older, application and eligibility vary by states, but generally the Supplemental Security Income from the Social Security Administration is used to determine eligibility. Non-financial eligibility includes being a citizen of the United States or a lawful permanent resident. It is possible to qualify for both Medicare and Medicaid in which essentially, most of your health care and long-term service needs are covered. There are also partial help programs offered by states that help seniors with Medicare costs through the state’s Medicaid program for those that do not qualify for full Medicaid Coverage. 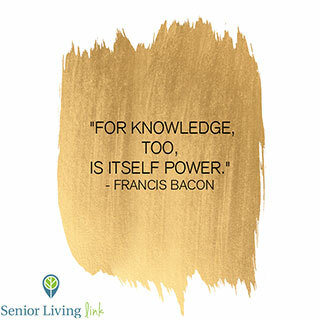 Let Senior Living Link help you on your journey click here.